notice to any tax payer for an outstanding debt. When debt is not cleared within 10 days, a warrant of distress is supposed to be issued which has an expiry date of 10 days. 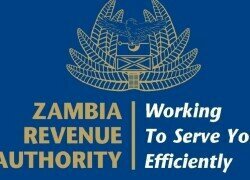 “If a tax payer does not clear an outstanding debt within the stipulated time, ZRA should seize assets of the tax payer and recover the taxes due through auctioning,” the report says. The Auditor-General’s report further states that during the period under review 555 companies managed to reduce their arrears by K202,957,771 in 2014 but a scrutiny of payments received in 2015 revealed only K122,693213 was supported by evidence of payments while the balance of K80,264,558 remained unsupported. ZRA has also failed to collect K200, 205 on 123 in mineral royalty tax from January to November 2015 without any explanation. On ZRA’s failure to collect duties on transit, the report stated that an examination of records guaranteed amounts of goods totalling K26, 769, 644 that entered Zambia from January to December 2015 had not exited the country and that as of September, 2016 the Authority had not called on the bonds despite the lapse of allowable period.